Hormone regulator for nervous and sexual balance. Stimulates the production of the male hormone testosterone. 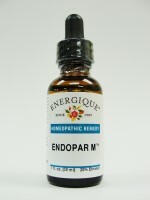 Often used by women for hormone balancing, hot flashes, infertility and menopause. Used for both frigidity in women and impotency in men. From Nature's Sunshine - NSP - Excellent Prostate help for middle-aged and older men. From Nature's Sunshine - Contains equol, the only known molecule clinically shown to bind to DHT to protect the prostate. Supports prostate function and urinary flow without side effects. Synthetic form of adrenal hormone precursor that declines with age DHEA stands for dehydroepiandrosterone, a human "master" pre-hormone substance that the body makes in the adrenal glands. Supplemental DHEA is used by the body over a period of several hours to produce other hormones to balance the body's control systems. Hope for small breasts and large prostates. In men, it is used for impotence, sterility, underdeveloped testicles and enlarged prostate. Saw palmetto berries are important in glandular strengthening and toning combinations. It is considered a tonic for the whole body.